Antuator is developed with the following key metrics combined ine one, Aesthetics and high performance, hence it is a class apart from the other actuators in the market. It is capable of pushing and pulling. 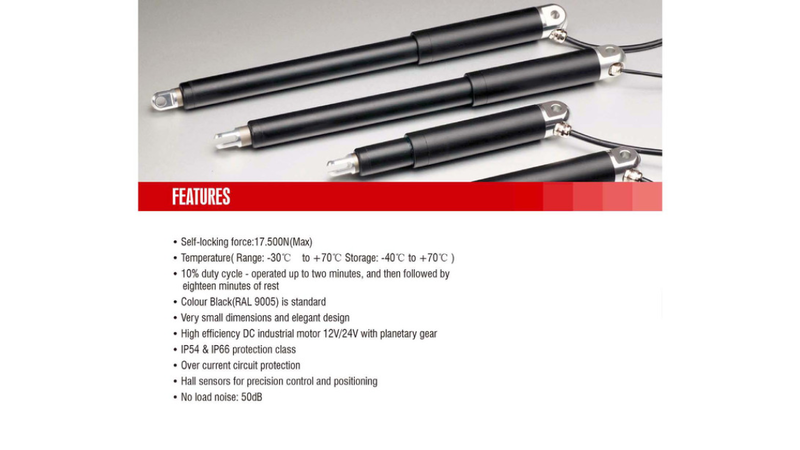 With IP66 protection, also equipped with circuit protection which means when it can stop automatically for the over current when the antuator travel to the end or overloaded.The diameter of Antuator is 35mm only and the inner permanent magnet motor with planetary gear of various ratios makes the load upto 3000N and stroke from 50-750mm with speed from 1.8-43mm/s at maximum load. They can be used in different areas especially power wheelchair and auxiliary equipments for the disabled transportation, special vehicles as well as intelligent home,automation.